Dressing your windows is one of the hardest things to tackle, in my opinion. Because of the amount of yardage needed, they can be pricey. Also, having them custom made usually means that you can't see them before ordering. However, taking the leap and getting window treatments made can transform a room completely. After paint, I think it's second on the list of priorities when designing a space. My favorite material to use? LINEN! Nothing better. It's soft, rumpled, relaxed yummy texture makes me giddy. My preference for all things washable, natural, simple, and unfussy fits right in with using linen. I've had the pleasure of working with this for panels and have LOVED the outcome every time. This is a heavier weight cream linen made into simple pocket rod panels. There is an extra seam at the top to give a ruffled header. The panels were made double width for lots of fullness for a master bedroom. 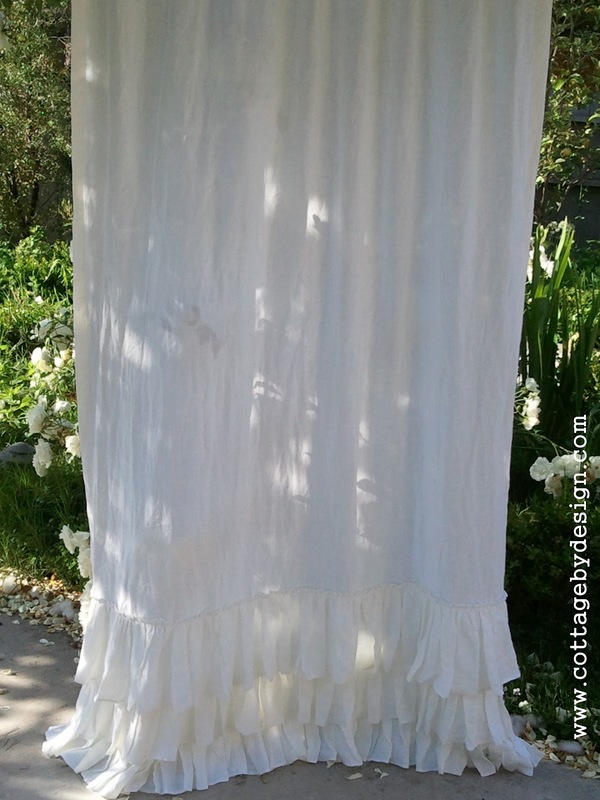 This is a relaxed roman shade with ruffles using a lighter weight linen. It is gathered on a rod and has rings sewn in the back to create the scallops and fullness. This is non-functioning so is best used where privacy and light control are not an issue. 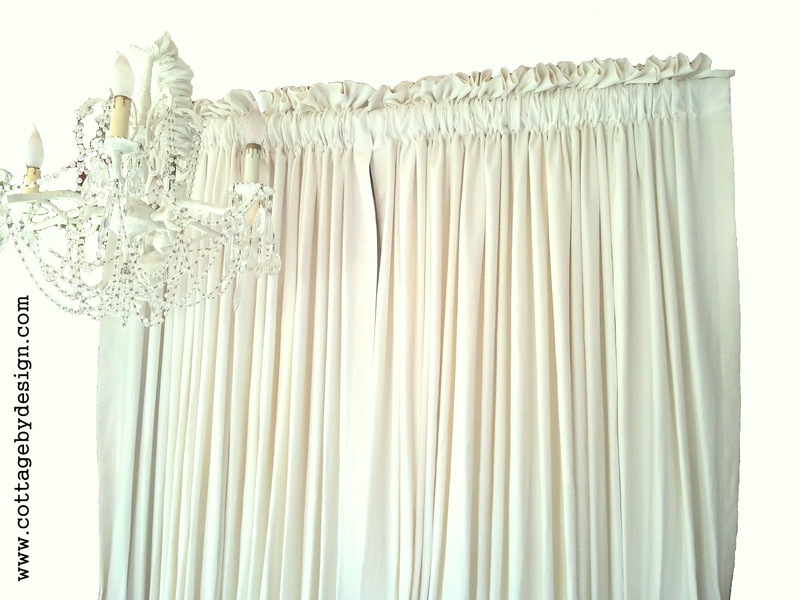 This is a triple ruffled valance. 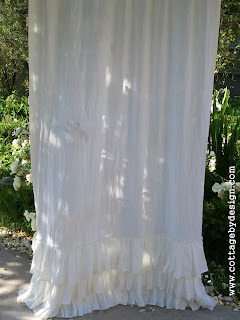 I use a lighter weight linen because of all the ruffles. It has a pocket at the top for a rod. 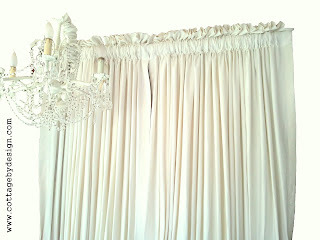 This is a pocket rod long panel with tiers of ruffles along the bottom. can you please make me curtains?!! Please email me at 2miamiami@gmail.com thank you! !